In a video posted by CNN on Sunday, passenger Eugene Rah credits his survival to something most coach passengers don’t have much familiarity with: a three-point seat belt. They've been in cars since the 1960s. But they’re still a rare sight on airliners unless you’re in business-or-first class, like Eugene Rah was on Asiana Flight 214. What’s this? First-class passengers get better, safer seat-belts than coach passengers? According to Robert Salzar, a scientist at the Center for Applied Biomechanics at the University of Virginia, it’s a little more complicated than that. Salzar says in order to pass FAA regulations, airplane seats undergo crash tests, just as cars do. Manufacturers have to show that something restrains the dummy from hitting his head on his knees, or something else in his vicinity. In coach, that's what the seat in front of you does. Even with a built-in screen or a phone, says Salzar, the surface of that seat-back is still pretty soft. It can save your life (or your back). But up in first class, there’s a lot more space: room to stretch your legs, open a newspaper--and get seriously hurt in the event of a sudden jolt. 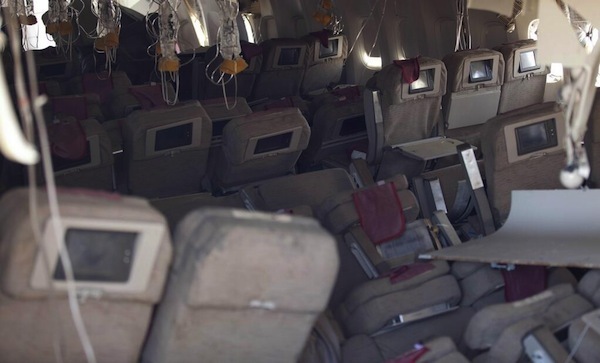 Abdominal injuries are among those suffered by survivors of the Asiana crash. So are spinal cord injuries and fractures. Salzar says it’s way too early to speculate what could have caused the injuries passengers sustained in the Asiana crash. But it’s possible that the type of impact was beyond what most airplane seats are designed to handle. “If you look at the video," Salzar points out, the plane "managed to do a 360-degree spin." The Asiana 777 was delivered in 2006. 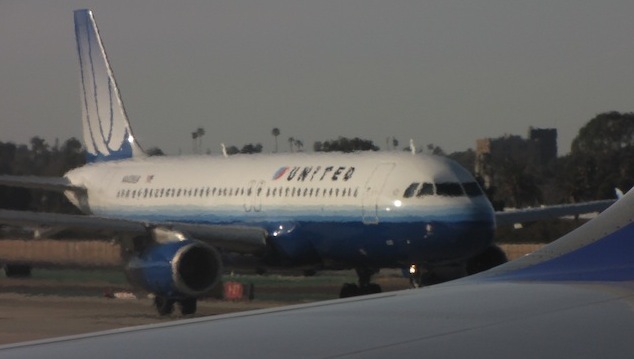 Newer planes, built after 2009, must have seats that can withstand greater impact. To meet that standard, some manufacturers have added airbags to lap belts. And some are looking into what it would take to install three-point belt systems in coach seats, too.